McKINNEY, Texas -- Troy Aikman, former Super Bowl-winning Dallas Cowboys quarterback, already has joined. He's even done a TV commercial. The TPC at Craig Ranch, designed by Tom Weiskopf, is scheduled to open in early summer 2004, and it is part of a 1,850-acre development that includes golf and baseball. The North Texas Athletic Center at Craig Ranch is being developed by former Major League Baseball players Mike Henneman, Pete Incaviglia, Ken Hill and others. It includes a 15-field youth baseball-softball training facility. Tim Finchem, PGA Tour Commissioner, visited the site in October 2002 to view the progress of construction of the newest addition to the TPC Network and the first and only PGA Tour owned and operated TPC in the state of Texas. The TPC at Craig Ranch is in the second-phase of the clearing process. Fifteen of the 18 holes are being cleared to within 30 feet of the holes' perimeter and shaping has begun on several holes. The clearing and shaping of the TPC at Craig Ranch is scheduled to be completed in June of 2003, when the course will be fully seeded. The grass will grow in for one full year, while the 35,000-square foot clubhouse is being constructed. The forecasted opening is June 2004. Located at the northeast corner of Highway 121 and Custer Road (FM 2478), the TPC at Craig Ranch is situated at the intersection considered the geographic four corners of Collin County, the fastest growing county in the state of Texas. Log on to www.tpcatcraigranch.com for membership information. Cherokee Hills Golf Club, formerly known as Indian Hills Golf Club, has hired Tripp Davis and Associates to oversee the renovation-restoration plans for this Perry Maxwell designed golf course located just outside Tulsa, Oklahoma. Cherokee Nation Enterprises recently acquired the property and plans an expanded casino and new hotel. The project will include renovation of some holes and addition of up to eight others. "Our objective is to end up with 18 holes that look and feel like Perry Maxwell. Indian Hills was one of Mr. Maxwell's hidden gems. The original holes we will get to work with are some of the best golf holes I have seen of Maxwell. As excited as I am about having the chance to work with one of Mr. Maxwell's best, it will be a great experience to have the opportunity to build the new holes in the Maxwell style and approach," said Davis. 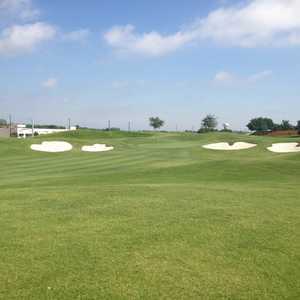 The private Hill Country Golf Club in Waco has announced an amateur golf league competition that anyone can join with a chance to play some private courses. "The majority of events are held on Saturdays, with a few held on weekday afternoons," said Phil Sanchez, tournament director. "Every event involves some type of match, as well as having a stroke-play low net and low-gross winner. Throughout the season, players and teams collect points for wins and top-ten finishes in order to qualify for the season-ending championship." 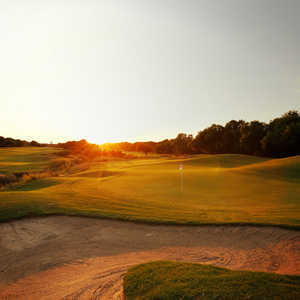 Check out www.hcgc1.com for complete information and golf courses. Sites include Bear Ridge Golf Club and Cottonwood Creek in Waco. In the Austin area courses set are Terra Vista, River Place and Avery Ranch. Bank of America, new sponsor for the Colonial, has a new logo that includes the likeness of Ben Hogan, who won the tournament a record five times. Called "The Masters of the Southwest" in earlier days, Hogan won at Colonial Country Club in his home town in 1946-47, and also won in 1952-53 and 1959. The 2003 Bank of America Colonial will be played May 19-25 in Fort Worth. Evergreen Alliance, based in Irving, recently purchased five golf courses that includes Fort Worth's Golf Club at Fossil Creek, one of the original "daily-fee courses" in the Dallas-Fort Worth Metroplex and Frisco's Plantation Golf Club. Three Houston-area courses were also included in the deal -- Greatwood Golf Club in Sugar Land, The Golf Club at Cinco Ranch in Katy, and Clear Creek Golf Course near Pearland. ClubCorp, which recently layed off people at its Dallas offices, sold the courses to Evergreen. Eagle Point Golf Club in Denton, on land owned by The University of North Texas, just might get bulldozed in the near future. The golf course is unprofitable, needs a facelift and the growing school needs room to expand. UNT has one of the larger enrollments in the state at more than 30,000 and its football team has won two Sun Belt titles in a row. With recent athletic success, the school wants to update athletic facilities and add dorms. The owners of the Radisson Hotel have the golf course lease, but are willing to cancel it. Eagle Point only logs about 17,000 rounds a year and needs 40,000 rounds a year to break even. UNT's golf teams don't even use it. "In the words of Don January and Club Corporation, the course is functionally obsolete," said Richard Rafes, university spokesman. "It is losing a considerable amount of money. If the course is closed there are no plans at this time to build a new course. However, the University would be interested in contacting other golf courses to see if a mutually use agreement could be worked out," he said. Plans for the golf course land include an extensive athletic complex that could include a new 500-bed dormitory and dining hall, athletic center, indoor and outdoor tennis courts, three football practice fields, new $30 million football stadium and a track-and-field stadium.